Price US$20.00 for 2 pieces. Made by one of the earliest Drum Heads makers in the World. See for yourself why COLUMBIA PRODUCTS Skin Heads continue to be the standard of an excellence of which others strive to match. 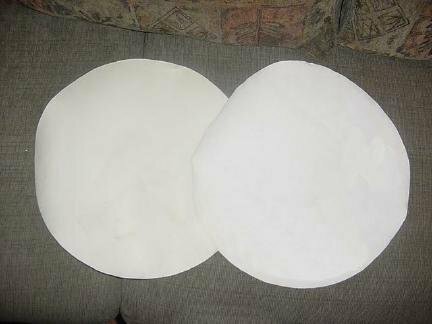 In this product you are looking on a Brand NEW, PAIR OF 12" BEAUTIFUL CALF SKIN HEADS, CHALK WHITE or NATURAL COLOR, IN THIN TO MEDIUM THICKNESS. These natural skin heads give very sharp & crisp sound to Instruments. These are 100% New Fresh Supplies. Market Retail Price is $30.00 Each but our direct factory price is much lower and competitive with many other eCRATER Sellers. These superb quality Skin Heads are in limited quantities on hand and selling very fast. In this deal you will get Two Calf Skin Heads in price of One. Take the advantage and buy your pair of Skin Heads TODAY. Buy The Skin Heads To Fix Your Broken Instrument. We even give instructions how to fix on request. Safe Money !!! Feel Free and buy on with full confidence. Good Luck !! Imported Directly From Our Own Factory It can be used by Music Instruments Makers & Repair People. These Natural Calf Skin Heads Can Be Used For New Instruments or To Repair the old Or torn one . These can Fit on any up to 10" Dia Instruments, like Hand Drums, Tambourines,Small Drums,Etc., Etc. IN CASE OF ANY QUESTION, PLEASE FEEL FREE TO EMAIL.